Eric Maguire was an art director, designer, illustrator, calligrapher and photographer but his first love was typography. For 25 years, he threatened to write a book about it but unfortunately never did, taking his extensive knowledge to the grave. Eric Samuel Maguire was born near Tempe Tip on October 15, 1923, and his father died of war wounds two years later. He grew up with his mother, Maude, and brother, Arthur, in Lane Cove. He studied art at East Sydney Tech, now the National Art School, and, between studies, was a fiercely competitive cyclist with the Northern Suburbs Cycling Club. To avoid army service, Maguire joined the merchant navy. The first boat he was on was torpedoed but, even though he could not swim, he was saved and spent the rest of World War II sailing with the US War Department. He was discharged in New Orleans in late 1945 with $3500 separation pay. 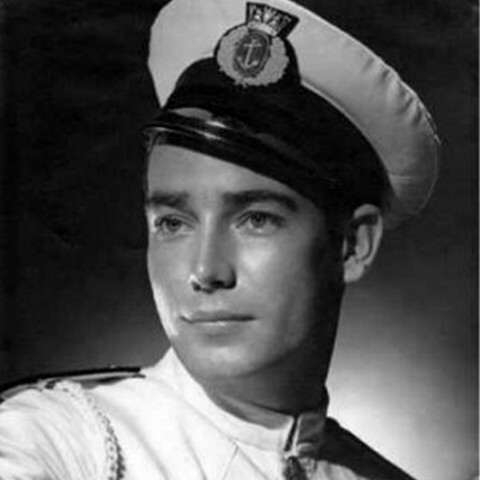 Unknown to the American immigration authorities, Maguire hung around in New York and San Francisco until he was repatriated back home as the only passenger on a returning “bride ship” in 1946. He purloined a good deal of the ship’s silver before he came ashore, along with an American flag that he always proudly displayed. Back in Australia, Maguire worked as a layout man at the Herald and was then sent to Woman’s Day in Melbourne. Later, after a brief stint at The Herald-Sun, he went freelance, mainly so he could take part in the endless canasta game being played in the apartment he and his wife, Margo (nee Thomson), rented. Maguire designed for Melbourne’s Olympic Games in 1956 and designed the awards and posters for the Melbourne Moomba Festival. In 1959, along with two bold business partners, he established a new type of advertising agency in Australia: one that was owned by the creative department. In 1962, Maguire was pleased as punch to be one of only six Australians included in the worldwide book Who’s Who in Graphic Art. Maguire was also a founder of the Society of the Ambulant Cheese, whose members dominated Australian design in the 1950s and 1960s, and was a long-term president of the Art Directors Club. He was also a visiting lecturer at RMIT and Melbourne University. In 1979, Maguire retired and returned to Sydney, settling in Palm Beach. He ran the local life drawing group, worked on community projects and enjoyed his days viewing the Pacific Ocean from his back deck. In 1998, he was added to the Australian Graphic Design Association’s Hall of Fame. Maguire’s final 14 months were spent in a Melbourne nursing home.